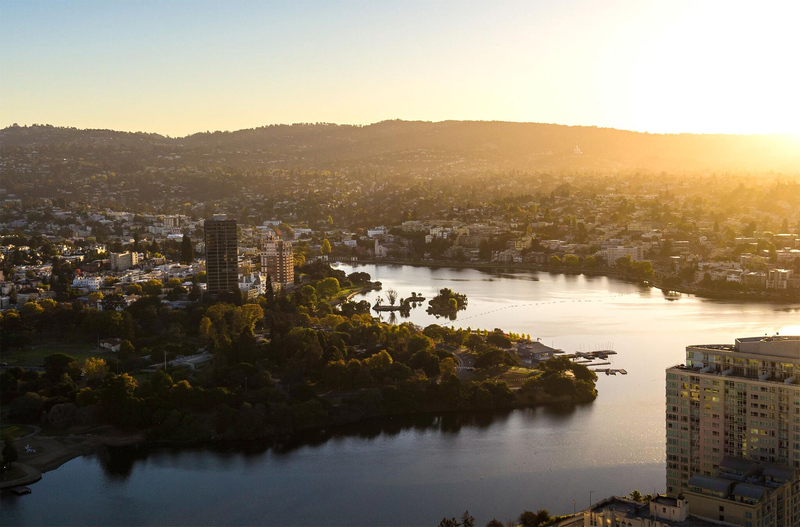 Oakland, California has had no shortage of negative news over the years, especially for this compact city of a little more than 400K, living in the shadow of San Francisco. 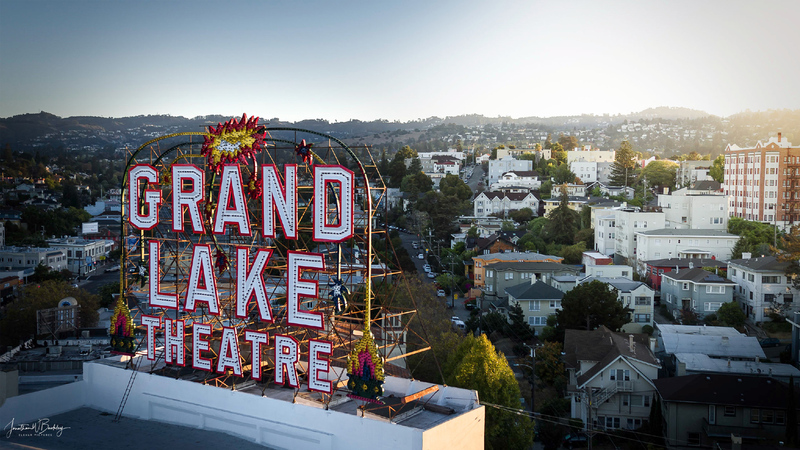 Against this perception of negativity for this historically significant city, there has been a strong wave of urban renewal and an attempt at reigniting pride in this wonderfully diverse community of Oakland. In mid-2016, we shot some aerial scenes for the Oakland, CA segments of a PBS-funded movie entitled “The Talk: Race in America”. These scenes were largely shot around the dawn hours in keeping with intent framing the opening scenes to the piece. Though I have lived in the Bay Area for close to 30 years, I had not seen Oakland in such a beautiful light as I had on those morning shoots. 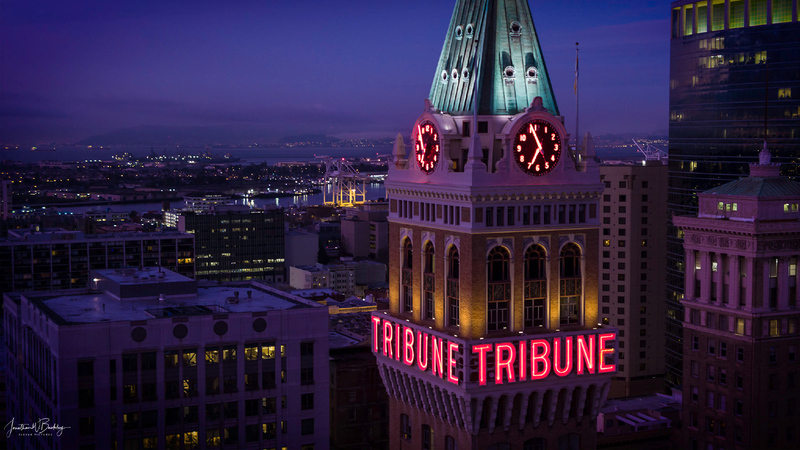 I became particularly interested in the juxtaposition of both historical and modern industries, buildings and parts of the City at both dawn and dusk hours when people are at a minimum on the streets, all from the 100-250-foot elevation. As I typically do on shoots, I mix in still photography with the moving video captures, later returning to the stills for other art projects. The Director of Photography for the film segment was thrilled with our video captures. When we took a look at these still photography we capture, we were thrilled. We spent some time getting the images just right for large metal sheet printing. 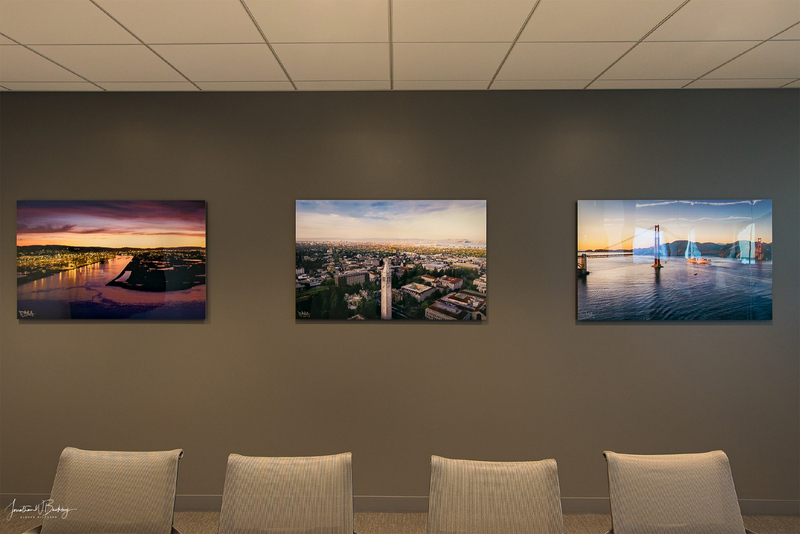 We derived a collection of photographs entitled “#ProudOakland” which are sampled below, however, considerably understated without being displayed on the six (6) foot metal panel on which they are printed and delivered. 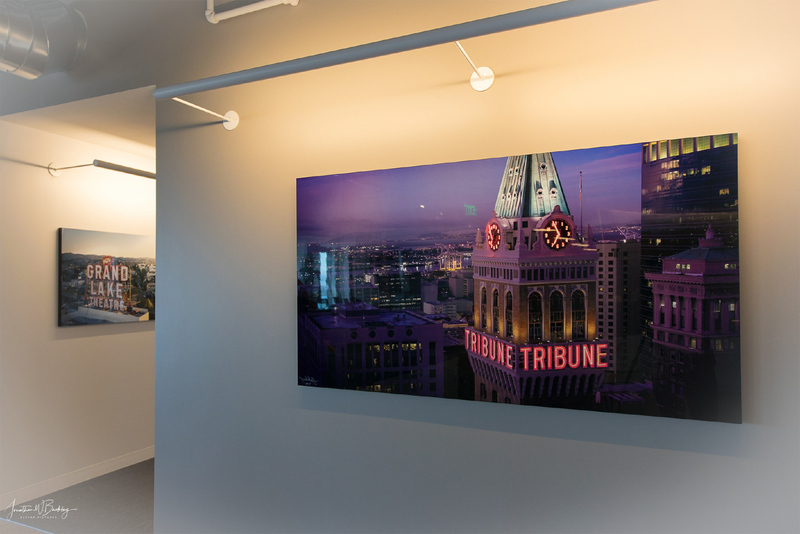 Some of these photographs in the larger collection are actually up to 25 feet in length when printed on their multi-panel displays! 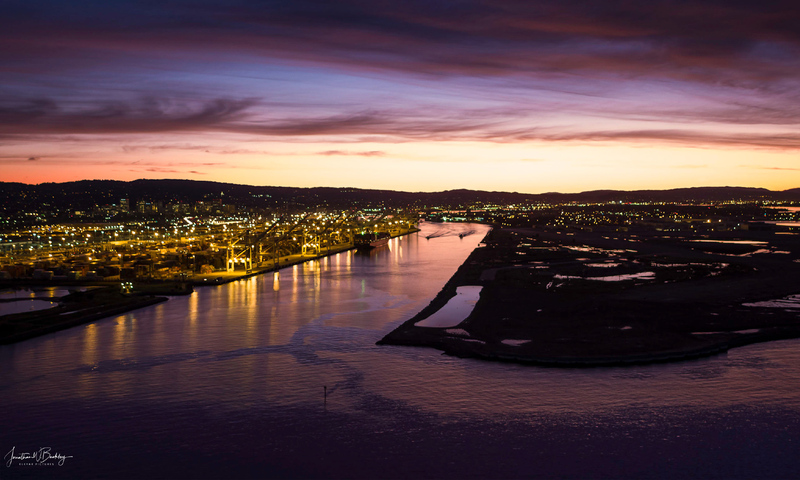 Oakland has a long history as a major West Coast port, a major manufacturing city and the home to the culturally significant University of California, Berkeley. Though still a one of the most significant ports, manufacturing in recent decades has yielded to smaller craft industries and warehousing. In the last two decades, with the cost of living having skyrocketed in neighboring San Francisco and other neighboring cities, Oakland has become a large bedroom community. Today, all these elements swirl together in the morning mist in a beautiful portrait of a City in transition. 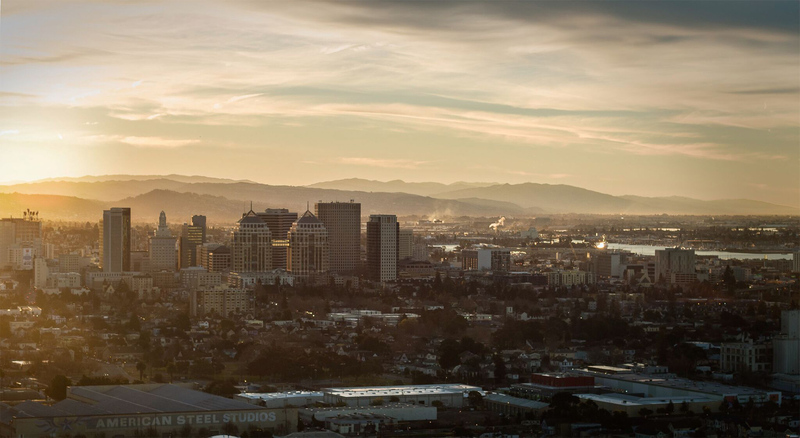 This is where the beauty of Oakland can be best appreciated and enjoyed by the people who view these photographs. The collection first garnered attention on social media, attracting the attention of several local charitable organizations working on the improvement of the Oakland community. 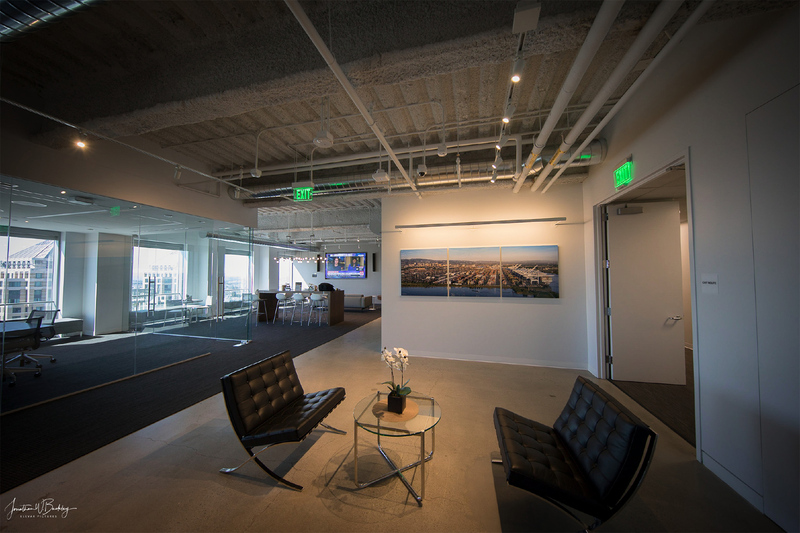 This particular collection caught the attention of designers at the Oakland office of Gensler, the architects who were finishing the design of a new Oakland office for CBRE.